Please Join Us in Congratulating Maria Nuñez (Parent/Community Volunteer), Kim Poe (Support Personnel), Rosa Marquez (Para-educator), Karla Diaz (Teacher), Yesenia Casillas (Administrator), and Jhon Esteban Luna Vergara (Student, Beaumont High School). 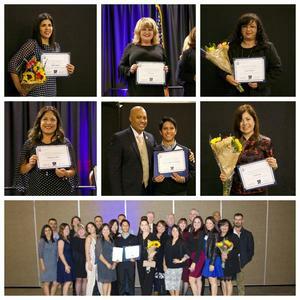 They were recognized and celebrated by the Bilingual Educators Succeeding Together (BEST) Committee for their contribution and commitment to promoting equitable programs for our English Learners. Thank you for all that you do for our students and their success!